We’ve always known that Canada produces delicious food, from maple syrup to poutine, and hilarious comedians, from John Candy to Mike Myers. Now, our friends to the north have made another important contribution, this time to the world of modern marketing. Direct mail inspires. It’s so ingrained in life that consumers ritualize it. In the process, they imbue it with emotionally charged meaning, making them more susceptible to inspiration from their brands. Direct mail gets noticed. Consumers are far more likely to notice, open, read, and enjoy mail than digital forms of advertising. They consider it less intrusive, more memorable, and the best way to make them feel valued. Direct mail persists. Consumers keep mail, display it in highly visible areas of their homes, and even share it with others. This creates multiple opportunities for a brand to be seen and engaged with. Direct mail persuades. Whether it’s to drive a store visit or purchase, mail delivers a call-to-action that resonates. Direct mail is a part of my “coming home” routine. And I’m sure it’s part of yours, too. Often, we will take a piece of mail that seems particularly interesting and important and read it at the mailbox, or on the walk back from it. We take the rest home and sort it in a two to five-minute routine that happens in the same place every day. It’s an ingrained, reflexive activity—and a great opportunity for you to make a personal, tangible connection with your customers. By contrast, digital mail management is less routine-oriented and more fluid. We check digital messages throughout the day in various environments. While the immediacy of digital communications has its advantages, the time-honored ritual associated with mail can be a powerful tool for brands. Mailed pieces have a persistent presence in our homes, from the refrigerator door to the coffee table. Catalogues, menus, and other print items are often kept for a month or longer. Many of our customers see even more success with dimensional mail pieces that have staying power and drive reciprocity. One of our customers actually saw a 15x return on their investment in direct mail, and several findings from this study support the lasting impact of direct and tactile mail. In fact, Canada Post found that a notable 80% of their respondents remember seeing or reading some mail sent to them in the last four weeks, with 60% saying that really good advertising mail helped keep the sender’s brand top-of-mind. 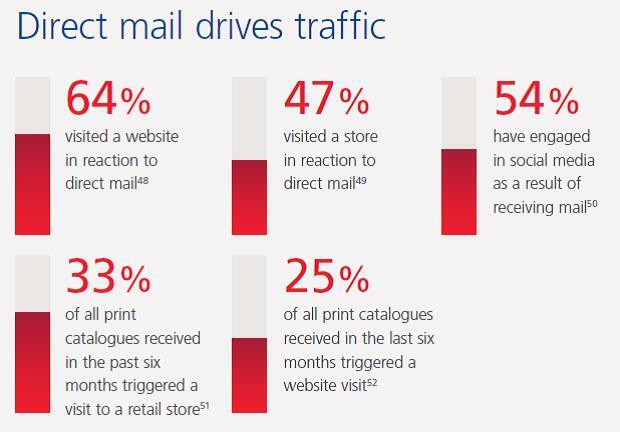 A third of respondents say that direct mail is the most effective way to get them to remember a product or service. 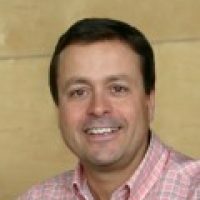 Not Using Direct Mail? Two Words: You Should. Direct mail drives purchases. In nearly a quarter of cases, direct mail pieces prompt respondents to take action, and a third of all print catalogues received in the last six months triggered a purchase. Half of the respondents from the study said they purchased a product in-store over the past six months as a result of a direct mail ad, and 43% ordered a product online in reaction to direct mail. Next time, we’ll explore how using the rich behavioral data captured in your marketing automation platform can drive an even better, more personalized and engaging “tactile marketing” experience for your audience. Meanwhile, I’m going to check the mailbox, grab some maple syrup-flavored popcorn and watch an Austin Powers flick. Canadians call that a hat trick. Have you found any of the stats from The Canada Post study to be true for you? How are you using direct mail as an integrated part of your campaigns? I’d love to hear what’s working and not working in the comments section below.